The Stock*Pile Comics EP02 is out now and for sale on my store! 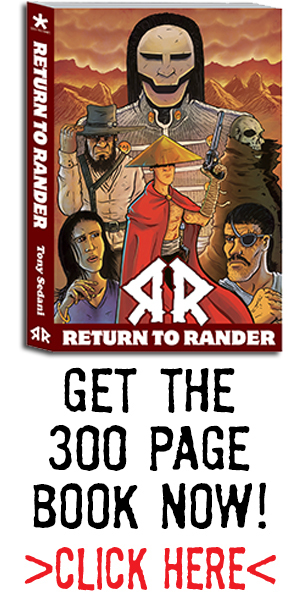 It features a short story of Return to Rander by myself titled Enter the Devil! The EP series is a collection of short mini comics by us StockPilers. It’s on sale for $3 on my store section. Returning customer again for another 11 x 17 commissioned piece. The Fightin’ 5 seems pretty awesome, I’ll have to check out the comic. A fun piece of the flying villain nazi. Never even heard of this guy until it was requested for a commission. I homaged the Action Comics Cover for this. First time ever drawing Jonah Hex, I went a little crazy with the damage on his face. Fun time, 8 x 10. A commission from Heroes Con this past June! A fun piece for a returning customer at Heroes Con!